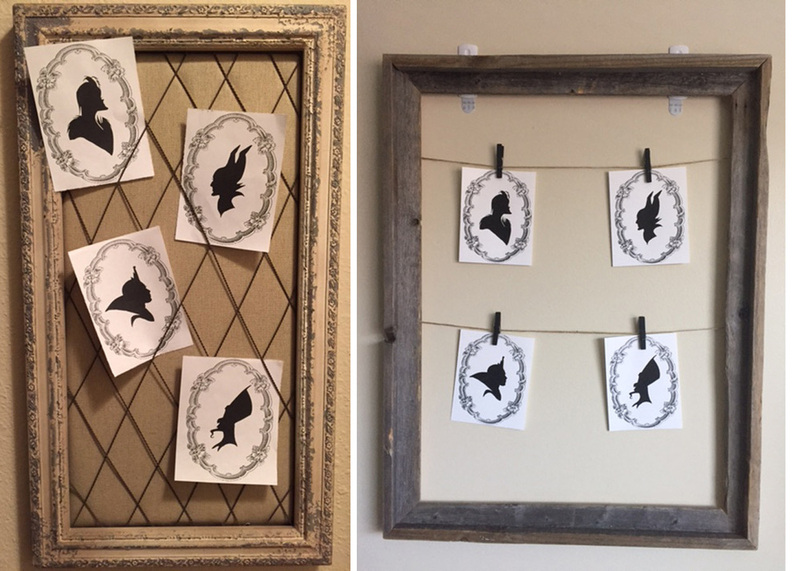 With Halloween just around the corner, I'm putting the finishing touches on our decor situation. Thankfully, I know an amazing artist, and she created some awesome Disney villain renderings to add the right amount of wickedness to our home. Today I am so excited to introduce Lauren Nicole to you. She is the owner of her "Illustrated Inklings" Etsy shop, and she just launched her own website! She also happens to be one of my dearest friends. Lauren and I go way back, and by that I mean all the way back to preschool! She was one of the first friends I ever made. Our sleepovers usually consisted of making up dance routines, playing MASH, and watching Disney movies of course! A Goofy Movie, The Little Mermaid and Mulan were among our favorites to recite and sing along to. Lauren ended up moving to California in high school, and we sort of lost touch and didn't talk anymore. I moved to LA to attend college at FIDM, and she enrolled one year later. We decided to meet up at Disneyland one day and it was like we had never been apart. Christmas time at the happiest place on earth. 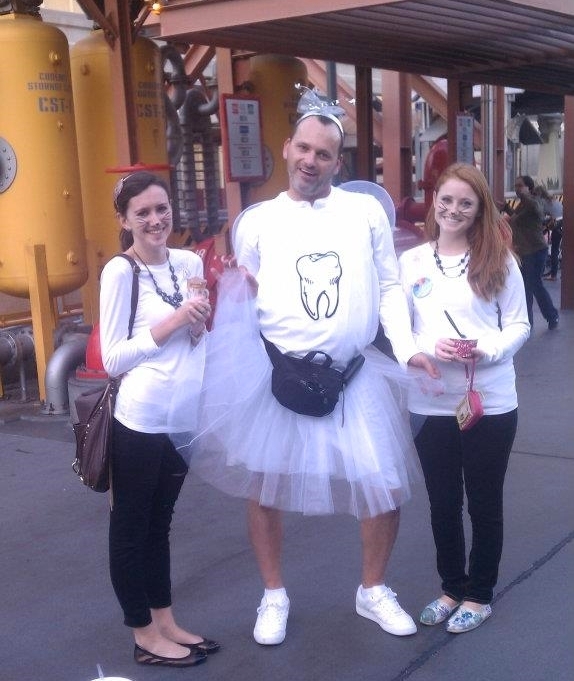 We dressed up as the Siamese cats from Lady and the Tramp one year and we ran into the tooth fairy at DCA! Definitely a picture-worthy moment. Checking out the gadgets and gizmos aplenty at the Melrose flea market! Q: When did you first become interested in art and drawing? A: I have been interested in design for as long as I have been able to pick up a crayon. Art was always my favorite class in school. I began drawing fashion sketches in fifth grade, and everything has evolved from there. A: I am very into art history. I love drawing inspiration from different art movements and eras. Especially Art Noveau, Art Deco, Arts and Crafts Movement, and Rococo. Q: What do you use to create your illustrations? Do you work in pen, market, watercolor, etc. A: I love working with different mediums to achieve different results. For Illustrative Inklings, I do most of my line work with pen and then add color on the computer. Working with watercolors and using watercolor techniques is absolutely on the top of my list for most enjoyable to work with. Q: Where are you based and what does your workspace look like? A: I currently am based out of my studio apartment which I share with my jazz musician fiancé! There is room for the two of us, but not necessarily for our music/art supplies! My workspace is cramped and organized chaos. Even if my workspace was the size of a football field, it would still be organized chaos because I get too caught up in my projects that cleaning becomes an afterthought. Q: Are there any projects you are currently working on? A: I am currently working on opening up new sections for my Illustrative Inklings shop. Top priority is getting Christmas into gear. I always love participating in the Spoonflower weekly design fabric challenge when I can work the theme into my shop! Showing off her Tsum Tsum collection, because really, why not? Q; Who is your favorite Disney villain? A: Wow. Is it bad that it is hard for me to narrow it down? I would have to saw Hades because he is hilarious. I definitely could see us hanging out and cracking jokes. Q: What is your favorite Disney villain song? A: Okay, so if we are going purely instrumental, then "Cruella deVil" by Jim Brickman from his album The Disney Songbook. If we are going to sing along, then "Poor Unfortunate Souls" because it is sassy, it is diva, and there is ample opportunity for shimmying. Q: Which Disney villain's lair would you prefer to live in? A: Cruella DeVil's penthouse hands down. She may be one mean lady, but she's fabulous. Q: Which Disney villain do you think is the most cold-hearted? A: Scar. I can never get over the feeling in my heart when Scar kills his own brother. I guess that's Macbeth for you. A: I'm Lauren. I'm a blogger, writer, designer, and artist. I adore fashion and love to create. I'm also a Disney enthusiast and am a big fan of Blushful Belle. Who's your favorite Disney villain? Let me know in the comments below!